Spring is a wonderful time of the year. After a long winter, the weather finally heats up, and flowers start to bloom everywhere. But with spring comes a big disadvantage for property owners. It is pest intrusion season. Most wild animals’ mate during the winter season, meaning every spring, new litters of raccoon babies are born. The earliest set of babies are witnessed in March with the latest ones coming in as late as June. Sometimes, when the mother raccoon loses her first litter, she might have second litter sometime in mid-summer. 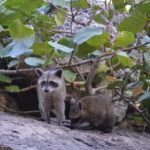 While raccoons naturally live outside, to create a secure nest for their babies, they actively seek out warm, isolated spaces. Home attics are by far their best choice. 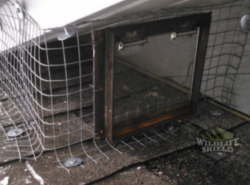 Your attic is normally situated in an elevated space protecting the babies from natural predators. 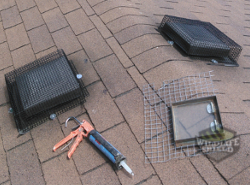 Your attic also provides nesting material with an element of built-in privacy. When you first spot a raccoon, its not uncommon to feel they are cute and adorable creatures. 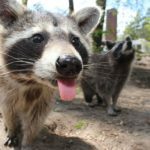 However, behind their intelligence, and cute coats, raccoons are a nuisance, health risk, and have the capability of causing significant damage to structures when they make your structures home. 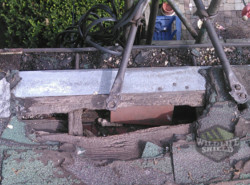 You have probably come across raccoon feces in your property at some point. 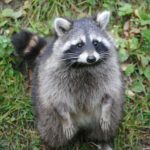 Most property owners don’t think a lot about the hazards of raccoon feces because they never touch raccoons. But as it turns out, you have probably come into contact with raccoon feces without even knowing. Most times, you come into contact with their droppings; nothing happens. However, the worst-case scenario can be fatal. 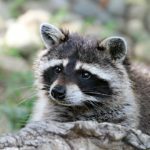 Therefore, whether it is a concealed latrine in your yard or attic, it is important to treat raccoon feces with caution. 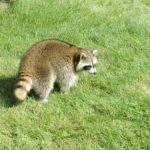 Raccoon feces transmits types of diseases, meaning you need to be extra careful when cleaning up raccoon droppings in your property. 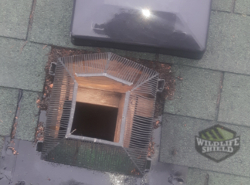 Make sure to call professional raccoon removal Mississauga services before you start cleaning up your attic. Raccoons are perhaps the most tenacious and smart suburban creatures that boast a range of athletic tricks. 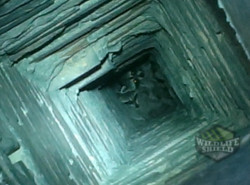 They can climb up your ceiling, swim, run, jump, open latches, and unsecured garbage bins. Raccoons are nocturnal animals; they will terrorize your property in the cover of the night while you are asleep. They are also omnivorous, meaning they will eat pretty much anything. 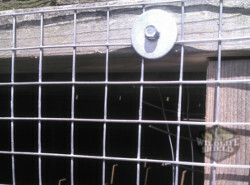 So you need to learn how to deal with them, call us if you need raccoon removal Mississauga services. 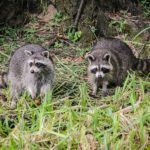 Cayenne Pepper Spray and Raccoon Removal – Does it Work? 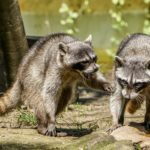 Raccoons are the most divisive animal pests that can invade your property. They might look pitiful and cute, but they pose a threat to your property and well-being. Since they are a potential rabies carrier, they are a direct danger to you and your family. Raccoons cause so much destruction to property and human life that we can never stress enough how troublesome these little critters are. 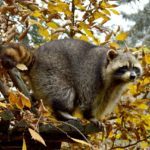 The best and most effective way you could do for raccoon removal Mississauga troublesome critters is by contacting your local pest control company. 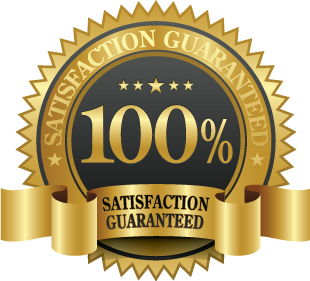 Pest control companies are licensed to get rid of troublesome wildlife; they also have qualified and experienced staff who can help solve your problem. While contracting a wildlife removal company to solve your raccoon problem is not cheap, it’s guaranteed. 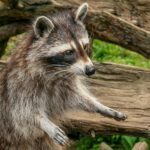 If you have dealt with a raccoon invasion in the past, you understand how frustrating it can become. 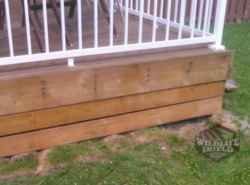 Raccoons are very common pest animal in Canadian urban areas. They are perhaps one of the few wildlife that has successfully adapted to living within human environments, and due to this, they are increasingly becoming a nuisance to those they invade causing the destruction of property as well as posing as a human health concern. Your attic might have recently become a favored living space for this furry creature. 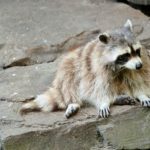 While raccoons living in your property might seem like a good idea, their impacts on your living may not. So how do I get rid of raccoons?